Cyclists in Sydney and other cities in the Australian state of New South Wales (NSW) are now required to carry identification and wear a helmet or else face steep fines under a package of laws that came into force in March. Failing to wear a helmet will result in a fine of $319 in Australian dollars, as well as a $106 penalty for failing to provide proper identification. Cyclists who are caught going through a red light can also be hit with a $425 charge. The new regulations, spearheaded by Duncan Gay, minister of roads for NSW, were introduced as common sense solutions to improving road safety overall. Gay, however, has previously described himself as “the biggest bike-lane skeptic in the government” and was behind the controversial removal of a popular bike lane in downtown Sydney last year. Cycling advocates across NSW gathered over 10,000 signatures for a petition criticizing the laws before they went into force, but the premier’s office refused to back down. Gay and other government ministers have defended the laws as even-handed, pointing to one provision requiring that all motorists maintain a one-metre distance from a cyclist when travelling under 60 km/hr and 1.5 metres above that speed as proof. 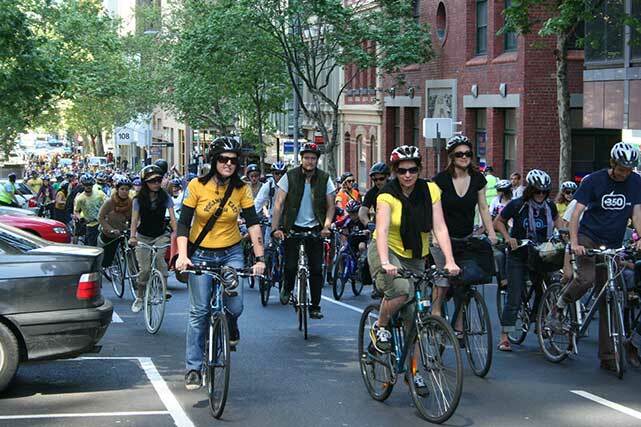 Organizations like Safe Cycling Australia counter that the government is using the pretence of safety to pass laws that are really meant to reduce the number of cyclists in NSW. Cities like London and New York City have managed to reduce the fatality rate per bike trip by focusing on the installation of better bike infrastructure like separated bike lanes.